Ewoks are probably like the chillest creatures in the universe. They just hang out in their tree villages all day, and as long humans stay away, they lead content, happy, and fulfilled lives. But, you see, the Empire just had to get involved on the Forest Moon of Endor. They're building a battle station, and need to use the Moon for their deflector shield base, and, yadda, yadda, yadda... you know the details. Heck, even Han, Luke, and Leia got these guys pretty riled up just by showing up on the scene. We've seen the vengeance that these little guys can exact, and unless you'd like to be cooked over an open flame or get steamrolled by a tree log, we recommend just staying in your own comfort zone right here on earth. 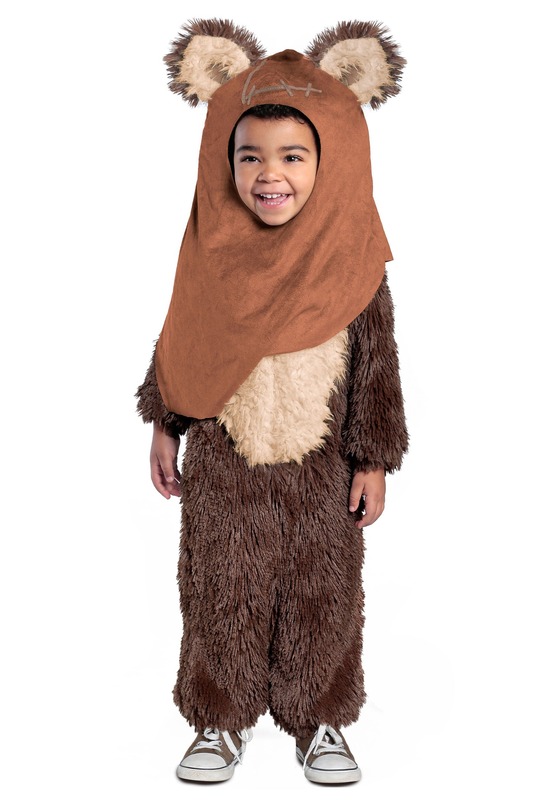 Now, as for dressing your toddler in this super adorable Ewok costume on the other hand? Still totally cool. It's soft, furry, has signature details from Return of the Jedi, and is styled to look just like everyone's favorite Endor dweller Wicket W. Warrick! The easy-to-wear jumpsuit fastens with Velcro, and the faux suede hood looks like it was hand stitched in a tree village for an extra touch of authenticity. We're sure that any little boy or girl will love becoming the youngest member of your family's Star Wars group theme, or just having a little fun as one of the furriest little guys from the galaxy far, far away. And we're sure everything's going to work out just fine when you get them this costume. Because unless they know how to build a swinging log trap, we think your AT-ST Walker is going to stay safe in the driveway and not end up getting smashed.